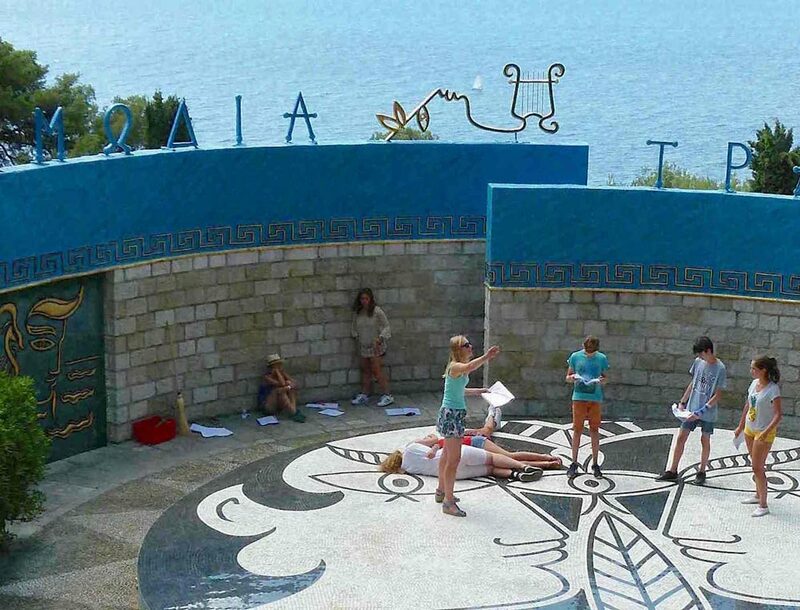 Allow teenagers to gain an accurate understanding of the actor's work and to foster a personal theatrical expression, in contact with theatre professionals in the wonderful setting of the Jean Cocteau theatre. Open themselves to various stage offerings. 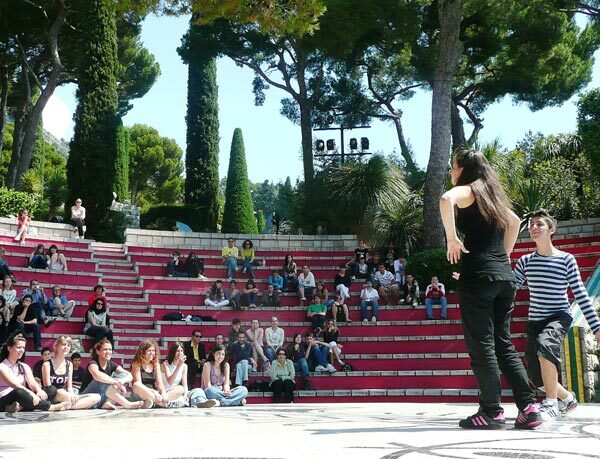 The course takes place at the Centre Méditerranéen d'Etudes Françaises of Cap d'Ail, a linguistic and cultural international centre founded by Jean Moreau in 1952, located close to the Principality of Monaco. 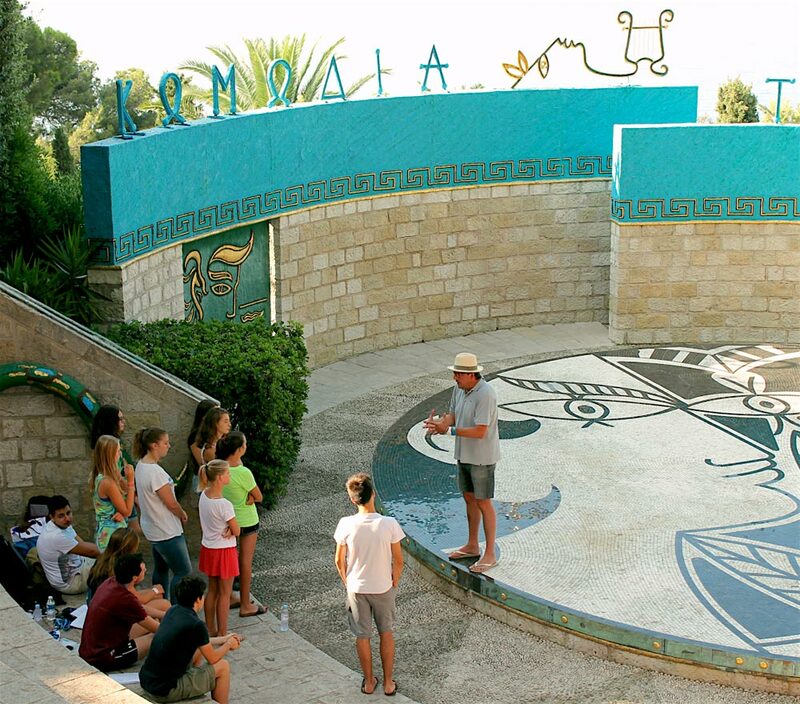 The Centre is housed in a beautiful park containing three hectares of flowers and trees overlooking the Mediterranean mountainside. 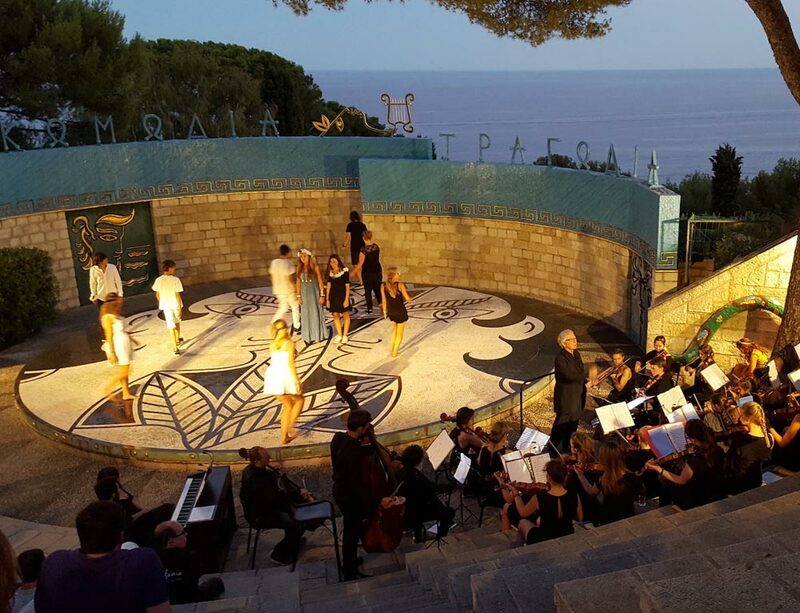 Its open-air theatre was decorated in antique style by the poet Jean Cocteau between 1957 and 1962, out of friendship for the Centre and its founder and to provide the youth of the world a place of education and meditation. 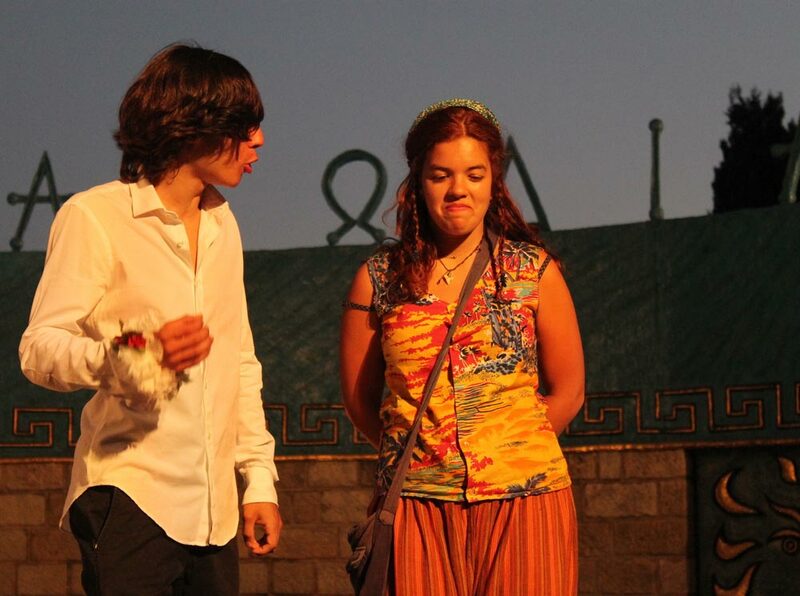 Throughout the summer we receive international teenagers who come together through the arts, language, and sports activities and learn how to enrich each other through their differences. The proposed activities are based on observation, analysis, and response. The course will begin with the implementation of specific exercises to assess the skills of the trainees and to build their confidence to better prepare them for acting. It will end with a performance in the Jean Cocteau theatre. Bringing together the body and the voice. Improvising to develop imagination while maintaining spontaneity. A detailed plan will be given to participants at the beginningof the course. Nota Bene : at the welcome barbecue on Sunday evening, the participants in the theatre workshop will be introduced to the French speaking international teenagers with whom they can share animations in a multicultural context. One afternoon (14:00-18:00) will be devoted to a cultural or sports outing of their choice, together with the international youth and under the supervision of the Centre animators. This course will be led by Éric Sautonie, director of the Art'Venture theatre company, accompanied by a teaching assistant. Éric Sautonie, actor trained at the Conservatoire d'Agen and in Galabru, this actor, writer, and director has worked with Pierre Debauche, Daniel Mesguich, and Raoul Sangla. In parallel, he directs theatre workshops of the cultural space L'Escale in Levallois Perret: 400 students (children, teenagers, adults). 540 EUROS ALL INCLUSIVE, EXCLUDING TRAVEL: DEPOSIT 270 EUROS - 270 EUROS BALANCE. Print, complete, sign, and send the downloadable registration form, along with an insurance document and a deposit check of 270 euros payable to the Centre Méditerranéen d'Etudes Françaises. Upon receipt of your (complete) application, we will confirm by email listing your child's enrolment and will include practical information regarding on arrival at the Centre and the running of the course. On their arrival at the centre, the students are greeted at the reception for check-in in order to hand over documents, a part of their pocket money, their room key, the rules and regulations for the centre. They are then allowed to settle into their rooms and they are invited to go on a tour of the centre with a member of staff. The rooms are ensuite and have between 3 to 5 beds and wardrobe space (towels not supplied). Nota Bene: The medical form which you receive on enrolment must be carefully completed and returned to the centre before your child's stay. The Centre is a secure area, in 3 hectares of nature; access is supervised 24 hours a day. Students can move around freely and safely. For the protection of young minors (health and safety and risk of fire) smoking is strictly forbidden in schools in accordance with French law. This visit is authorized by the Youth and Sports Ministry. Arrivée des stagiaires le 11/08 à partir de 10h, déjeuner inclus. Début du stage le 12/08 à 9h30. Départ des stagiaires le samedi 17/08 en matinée, déjeuner non inclus. Acompte par chèque de 342 euros à l'ordre du Centre Méditerranéen (+ 10 euros/jour en chambre individuelle selon disponibilité, premier inscrit premier servi). Solde par chèque de 290 euros à l'ordre de Art'venture.